The coconut palm is often called the ‘tree of life’ because of its versatility and importance to rural livelihoods. Its products find their way to our dining tables, medicine cabinets and body care products. 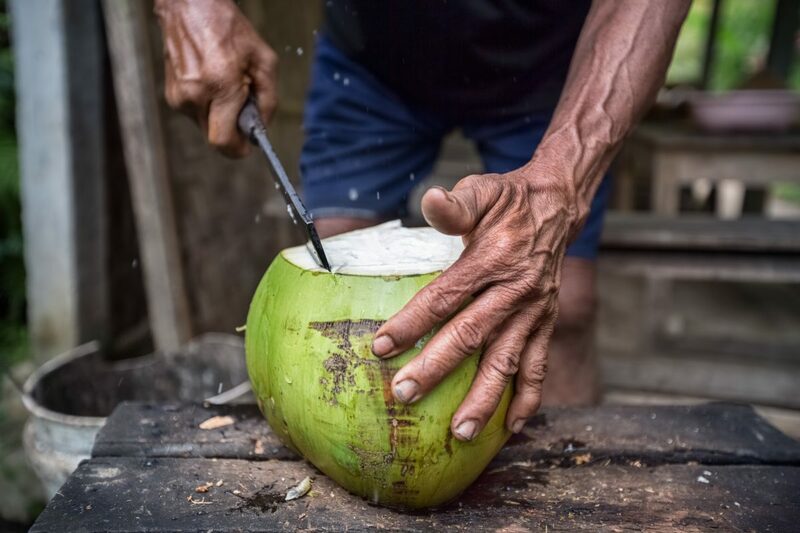 Recent demand, borne mostly by small farmers, has been driven by health-conscious products such as virgin coconut oil and coconut water. But lower yields, caused by ageing trees, pests and climate change, means that demand is overtaking global supply. Rural farmers and communities are ill-equipped to meet this challenge alone – lacking organisation, finances and knowledge on agricultural best practices. The global coconut water industry is worth more than $300 million. From 2007 to 2017, worldwide demand for coconuts grew more than 500 percent. 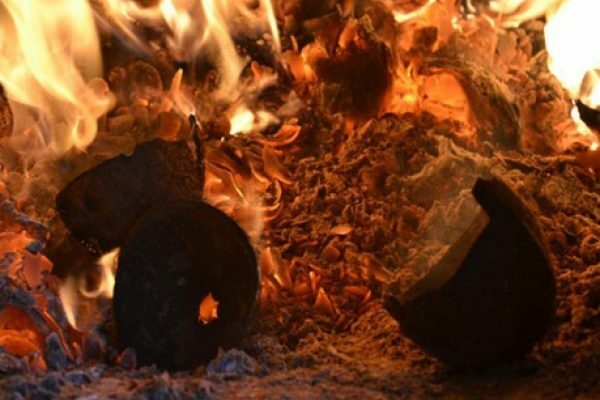 The Asia-Pacific region produces 90 percent of the world’s coconut products (FAO 2013), such as coconut oil, water and milk, virgin coconut oil, and raw materials such as fibrous materials and timbers used in construction. Since 2012, our field teams have supported businesses like Florin AG, Lindt & Sprüngli and Pro Fair Trade to build more resilient value chains by working with farmers, communities and mills. In Côte d’Ivoire and Mozambique, we have worked to turn policy commitments into action on the ground – improving income, production techniques and workplace safety among suppliers and farmers; and initiating FPIC (Free Prior and Informed Consent) processes with villages leasing land to plantations. 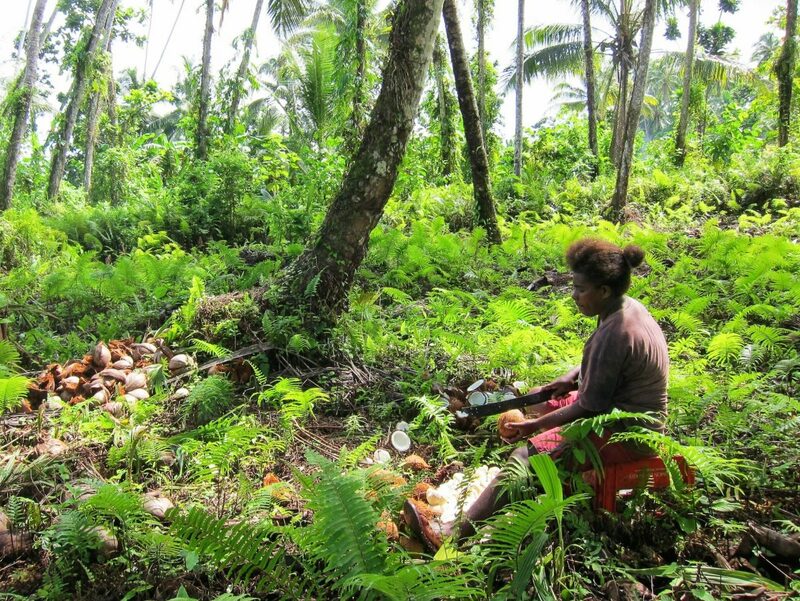 Our work has since expanded to the Solomon Islands, where we work with over 250 people from 35 villages to put farmers back at the centre of the value chain. CLICK HERE if you have a question about our work on coconut.